With over 20 years of dedicated service to the community of home and business owners in Ahwatukee, we are the area’s preferred choice for a variety of home services, including air conditioning repair, insulation, plumbing and home security systems. Our keen, unrelenting focus is always aimed at providing unmatched customer care that is backed by knowledge, experience and responsibility. Every project that we take on is treated as priority number one; every client is treated as family. We work for nothing but your complete and total satisfaction. With innovative techniques, state-of-the-art tools and equipment and a dedication to excellence, our AC repair and other HVAC services have not only created a loyal following of clients in Ahwatukee but have garnered us national recognition as well. We were recently named the Number One Air Conditioning & Heating Contractor in the US for the third consecutive year by The HVAC News. 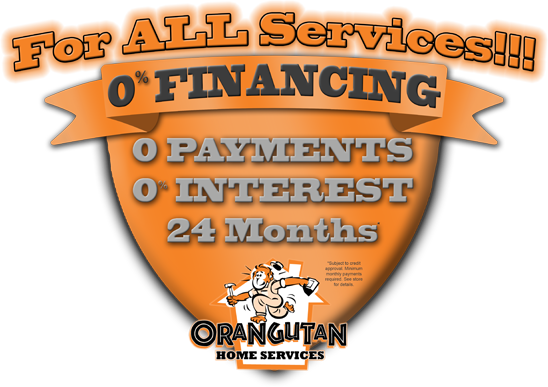 Discover the Orangutan difference and schedule your home AC service appointment with our team today. Call 602-892-9948 now.